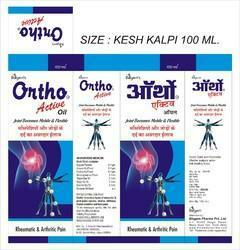 Leading Manufacturer of ortho active ayurvedic pain oil and kesh kalpi oil from Jaipur. We are highly appreciated in the international market for our effective range of Ortho Active Ayurvedic Pain Oil. The offered oil is formulated by making use of modern methods and high quality ingredients. Offered oil is used in healing pain in joints and in muscle pains. Apart from this, these oils are known for their effective results, zero side effects and optimum quality. We are manufacturer of complete range of pharma and ayurvedic products. 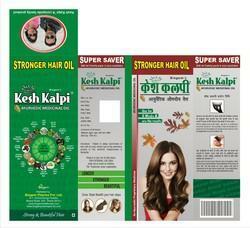 Here is our kesh kalpi hair oil is ayurvedic hair oil and available on very effective price. Looking for Ayurvedic Oil ?